MEPs voted yesterday (27 October) against amendments to the telecoms single market legislation, passing the new law without last minute changes lodged against its measures on net neutrality. The legislation package also includes the popular deal to end mobile roaming charges within the EU. In Tuesday’s plenary debate, some MEPs argued in favour of passing the compromise agreement without amendments so it could go into effect quickly. The draft text was agreed upon in negotiations between the European Parliament, Commission and Council that closed in June. The bill will now be reviewed by EU telecoms regulator BEREC before it is applied in member states. Under the legislation, net neutrality rules will prevent internet service providers from blocking internet traffic—unless they’re required by law or need to manage congestion. But critics aggressively attacked rules that allow companies to offer different internet quality for ‘specialised services’. Mobile roaming charges are also set to drop entirely by 2017 under the legislation and a first decrease in charges for phone calls, SMS messages and data use is scheduled for April next year. 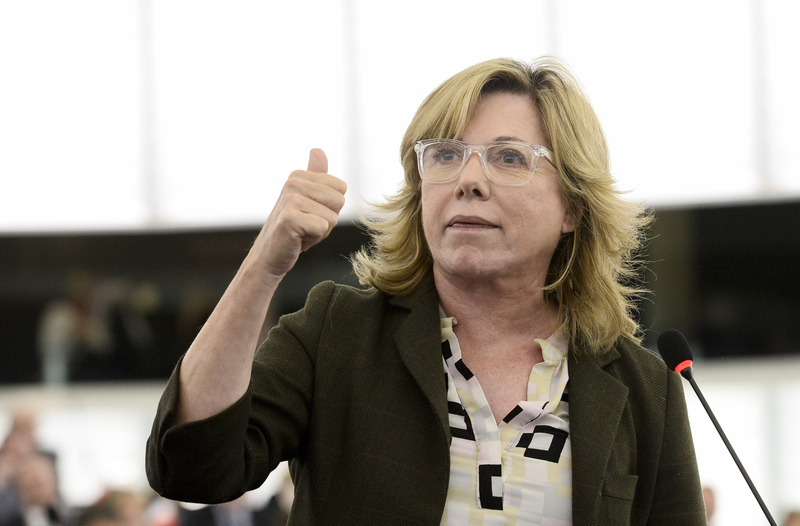 Following the plenary vote, Spanish MEP Pilar del Castillo (PP), rapporteur on the single telecoms market package, said referring to roaming charges, “In a way free movement of people is hampered by that fee”. Del Castillo called roaming a “tax that falls heavily on the shoulders of European citizens who move around the European Union”. Other MEPs criticised loopholes in the agreement: some said the end date for roaming charges is still unclear, and others were up in arms about what they described as a net neutrality law that would create a two-tier internet with speedier service available at a higher price. “A neutral internet allows small businesses to challenge the big operators. If you don’t have net neutrality you leave the field open to the big operators,” said Austrian MEP Michel Reimon (Green), shadow rapporteur on the legislation. Reimon tabled several amendments last week with other MEPs targeting the bill’s net neutrality provisions. >>Read: Getting a telecoms deal: Harder than agreeing on Greece? ETNO, the European association representing telecoms companies, said in a statement that network quality and services would benefit consumers. “Connected driving, e-health, new business models for online content distribution: this requires network management as well as differentiation of services,” the statement read. Internet and freedom of expression campaigners launched the ‘Save the Internet‘ initiative before the plenary session, which urged supporters to ask MEPs to vote for the amendments. “The European Parliament has avoided making decisions on all crucial points,” said Joe McNamee, executive director of NGO European Digital Rights, indicating that national regulators will now have to clear up “abuses” in the legislation. US-based tech companies, associations and entrepreneurs addressed a letter to MEPs on Monday (25 October) that called for “strong net neutrality protections” and criticised the EU agreement’s measures on specialised services, traffic management and other issues. EU Digital Commissioner Günther Oettinger addressed opposition to the internet rules following the Parliament vote yesterday afternoon. “If the concerns of the organisations are ever realised, I’m prepared to propose a change,” Oettinger said. Dutch MEP Marietje Schaake (ALDE): "This is a missed opportunity. Net neutrality is crucial for an open internet, fair competition in the digital economy and for innovation. [...] Just like for everyone else, abolishing roaming fees is very important for me. Yet, to create a single market, much more is needed. In the discussions, too much attention was given to the interests of national telecom companies and too little to those of internet users and the economy of the future. This has led to vague texts on net neutrality, which compromises the open internet. " Monique Goyens, director general of the European Consumer Organisation (BEUC): "Another cost cut for mobile use abroad by April 2016 is good news, but is still only a half-baked solution1. A real zero-roaming Europe hinges on a major telecom market reform, which is a mammoth task to achieve in just 13 months. Access to the open internet is now a legal right for all EU consumers. But here again deficiencies remain. Telecom providers can for instance continue to exempt traffic giants such as Facebook, Netflix or YouTube from data caps. This means that the content of some companies would still be accessible even to consumers who have used up their data allowance. This locks start-ups and innovative services out of the market, thereby limiting competition and reducing consumer choice." European Competitive Telecommunications Association (ECTA): "Challenger operators support the abolition of roaming surcharges and the gradual path towards a ‘roam-like-at-home’ environment in order to create a positive roaming experience for travelling end-users. Regarding Net Neutrality, ECTA members recall that effective competition in the provision of Internet access is one of the most important safeguards of an Open Internet also ensuring that the Internet’s unique ecosystem is preserved, maximising benefits for all." Negotiations from the European Parliament, Commission and Council agreed on a draft of the telecoms single market legislation on 30 June 2015, after heated night-long discussions. The major parts of the bill address net neutrality and mobile roaming charges. Following the 27 October plenary vote in Parliament, EU telecoms regulator BEREC has nine months to review the legislation. The Europhobes will no doubt find some excuse to moan, but this is great news.